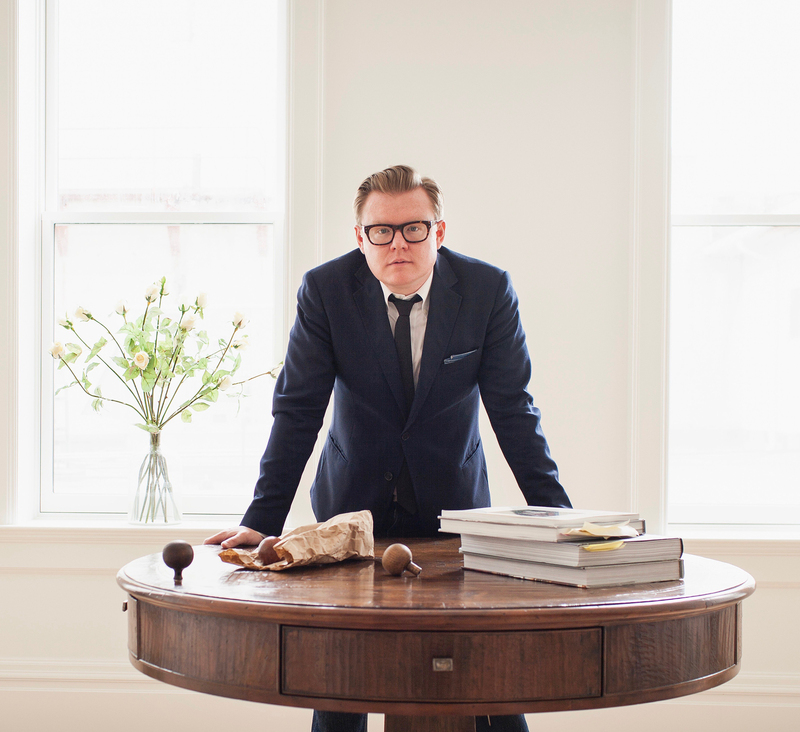 Kibler & Kirch interior design firm owner Jeremiah Young has been named creative director to the iconic Old Hickory Furniture Company. 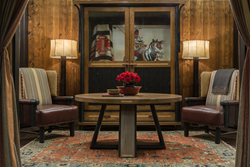 The Billings, Montana, interior designer will collaborate with Old Hickory’s master craftsmen to create fresh designs for the 119-year-old company whose original handcrafted pieces grace classic American locales from Yellowstone’s Old Faithful Inn to Camp David. Kibler & Kirch owner Jeremiah Young designed news signature pieces for Old Hickory Furniture Company that won his Montana firm “Best Interior Design” at the Western Design Conference. “It’s an incredible honor to share in the future direction of this iconic brand,” says Young. Old Hickory Furniture Company, the anchor of rustic style, is on the verge of revitalizing its classic image within the interior design world. Welcoming designer Jeremiah Young, owner and design director of venerable Montana interior design firm Kibler & Kirch, as its new creative director, the Indiana maker of handcrafted hickory furniture is forging a bridge with contemporary interior design needs with new furniture designs that are both enduring and fresh. The collaboration began with new pieces Young created for the 2017 Western Design Conference in Jackson Hole, Wyoming, where Kibler & Kirch won the “Best Interior Design” award for its room in the Designer Show House. That success sparked interest in Young and Old Hickory to pursue a more formal arrangement. Founded in 1899, the Shelbyville, Indiana-based Old Hickory Furniture Company is the American hallmark of rustic style from the Great Camps in the East to the historic lodges of Yosemite and Yellowstone National Parks. Popularized for its stylish comfort and durability, Old Hickory products endure in famous interiors from the presidential retreat Camp David and the great dining hall of the Old Faithful Inn to, more recently, the homes of Oprah Winfrey and Robert Redford. And the process of handcrafting each piece of furniture remains very much the same as more than a century ago. Attention to detail, the careful matching of parts, the individual assembly of each piece with mortise and tenon and the meticulous hand-weaving process combine to ensure Old Hickory continues to deliver unmatched quality. “Welcoming Jeremiah Young to the Old Hickory team is an exciting partnership that will allow our craftsmen to add more creative signatures to our classic portfolio,” says Bob Morrison, Old Hickory’s vice president of sales and marketing. As Creative Director, Jeremiah Young will match his design vision with the expert craftsmanship of Old Hickory, providing new collaboration with interior design clients in creating custom furnishings and refreshing signature collections that will be available to customers in the marketplace. Young’s Kibler & Kirch, based in Red Lodge and Billings, Montana, embraces a design philosophy of creating inviting, quality interiors that stand the test of time, an easy fit with the legacy Old Hickory brand, which the firm has often sourced for Kibler & Kirch’s mountain homes. Jeremiah Young and Old Hickory unveiled their first collaboration at last September’s Western Design Conference in Jackson Hole, where the prototypes that helped secure the “Best Interior Design” win for Kibler & Kirch included four pieces: a Molesworth-inspired wingback chair, a table inspired by Navajo blanket designs, a show cabinet, and a carefully scaled secretary’s desk. Young is in the process of drawing new prototypes for introduction later this year. As early as the upcoming High Point Market in North Carolina in April, Young and Old Hickory will add new signatures to the historic furniture maker’s showroom. The partnership is a sign that Old Hickory can honor its roots while looking ahead to the future. For more information on Old Hickory Furniture Company, visit http://www.oldhickory.com. 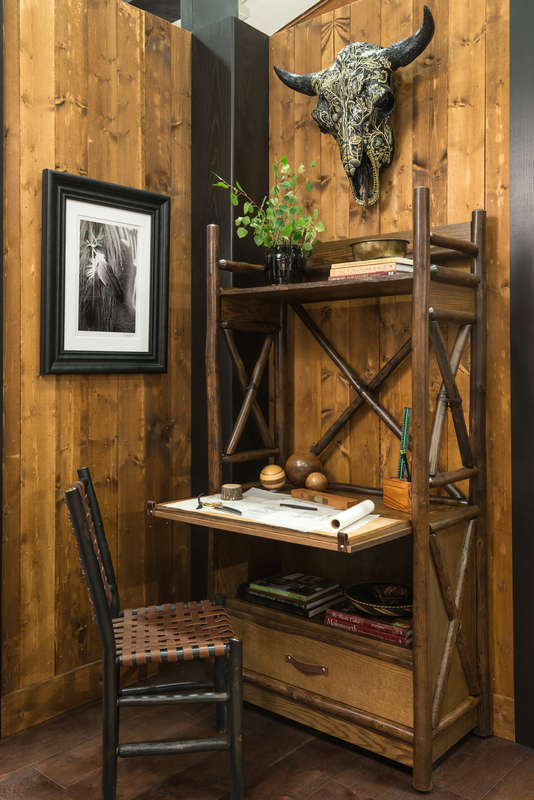 Annually recognized on Mountain Living magazine’s Top Mountain Designers list, Kibler & Kirch resonates with a distinctive – and distinctly Western – style through the various branches of the business. Its Billings showroom represents more than 100 companies – a carefully curated collection of furnishings and décor ranging from rustic to refined. And the talented design staff brings those resources – and deep connections with regional artists and artisans – to bear on crafting interiors for clients who range from young professionals and just-marrieds to second-home owners creating luxurious turn-key Rocky Mountain dream home projects. Always, Young and his Kibler & Kirch team create comfortably tasteful living where the spirit of the West meets modern treasures that are built to last. For more information, visit http://www.kiblerandkirch.com. Jeremiah Young, owner of Kibler & Kirch interior design firm based in Billings and Red Lodge, Montana, has been named creative director of American rustic style icon Old Hickory Furniture Company. Jeremiah Young, owner of Kibler & Kirch, with design studios in Billings and Red Lodge, Montana, collaborated with Old Hickory Furniture Company to design a Molesworth-inspired chair. 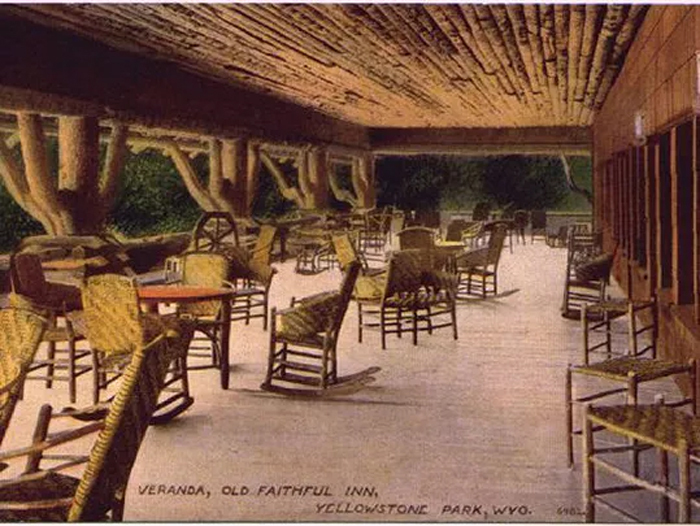 Shown in a historical photo, Old Hickory Furniture Company’s rustic handcrafted chairs have endured for more than a century at Yellowstone’s Old Faithful Inn. Jeremiah Young designed a new Old Hickory Furniture secretary desk that was featured in Kibler & Kirch’s award-winning room at the 2017 Western Design Conference Designer Show House.